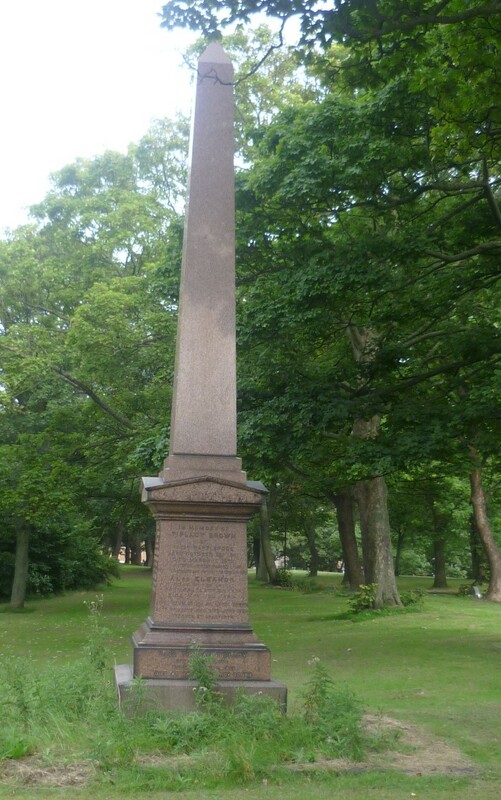 Inscription Reads: West Facing – In memory of Tiplady Brown of West Hartlepool born October 2nd 1821 died March 1st 1879 “He sweetly passed away from the world’s twightlight to endless days” Also Eleanor widow of the above born February—1814 died May—1894 also William Wilson and James Edward sons of the above who died June 1852 interred at Shadforth. 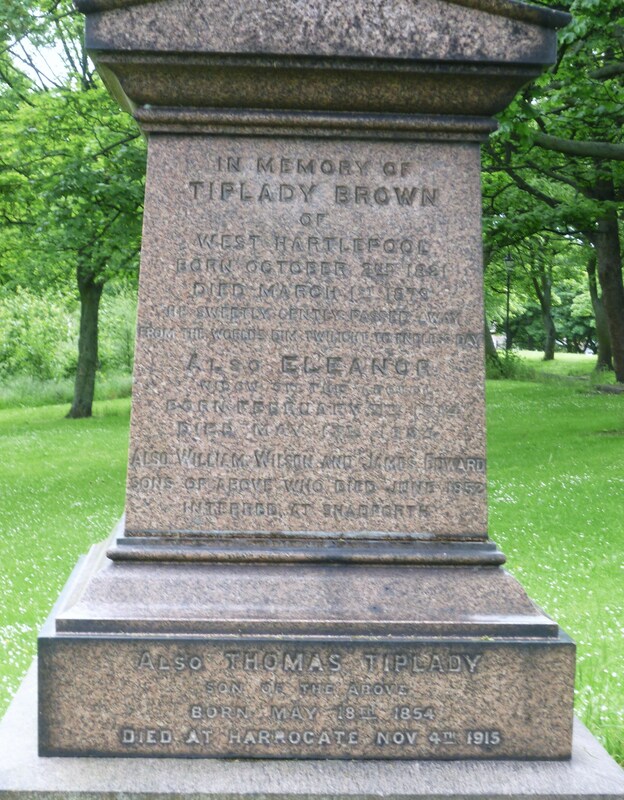 Also Thomas Tiplady son of the above born May 18th 1854 died at Harrogate Nov 4th 1914. 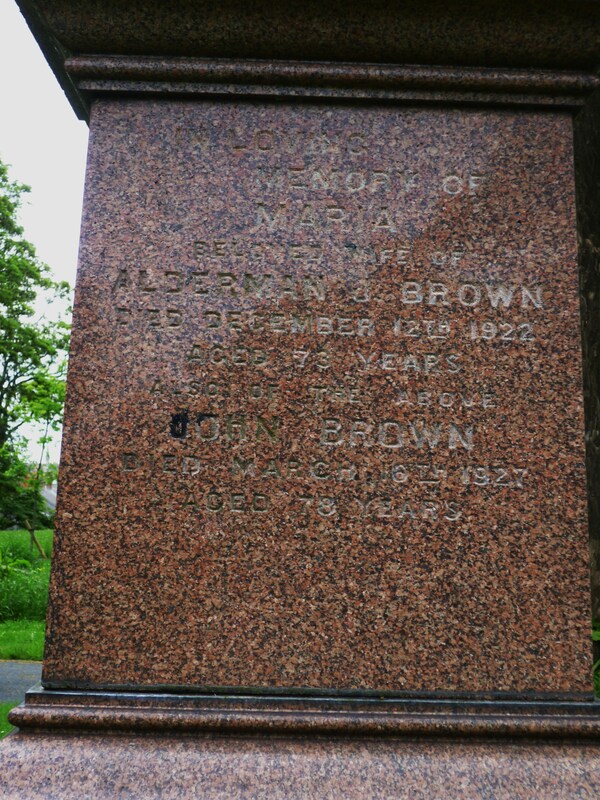 North Facing – In loving memory of Maria beloved wife of Alderman Brown died December 12th 1922 aged 73 years also of the above John Brown died March 16th 1927 aged 78 years.